So that’s eight days done, 270 miles cycled, £290 raised (28% of target) and about 20 Mars Bars eaten along the way (that's just over £1.07 and 0.07 Mars Bars per mile). After the sun of the first three days, the weather has slowly deteriorated into more rain and wind. Forth Road and Rail bridges. Photo: Andrew Whitelee. It was great to get back on the coast path again and enjoy the views across the Forth. 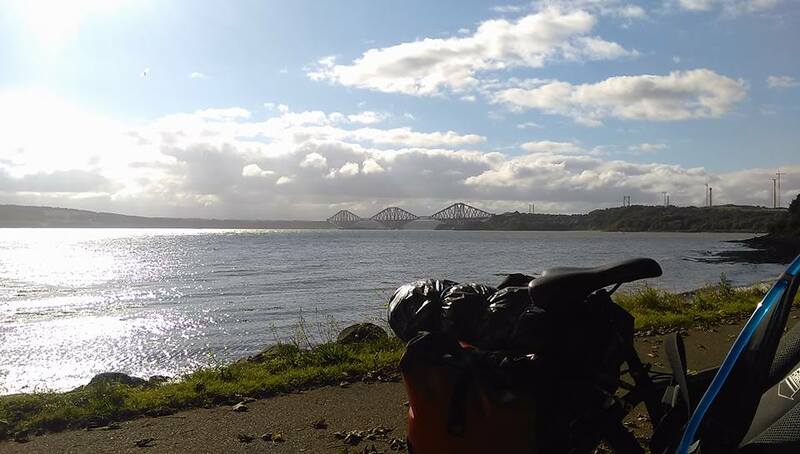 A strong wind slowed progress but being able to see the iconic Forth Road and Rail bridges kept me motivated. A nice selection of cycle-by waders also helped (turnstone, dunlin, redshank, curlew, oystercatcher and a feeding Greenshank). 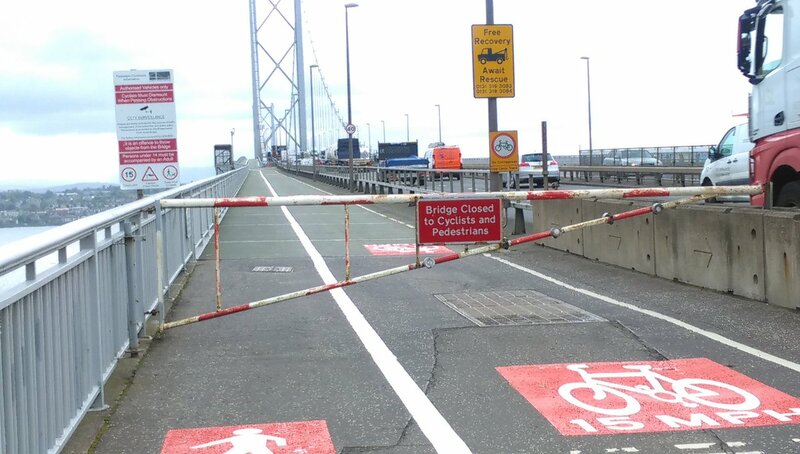 Bridge closed! Aaaaaaaaargh!! Photo: Andrew Whitelee. However, having struggled through roadworks and head winds to get to the bridge, I found it closed to pedestrians and cyclists meaning a doubleback to Inverkeithing and a train journey into Edinburgh as the only option to get my bike across. Coming out of Waverley station into the chaos of central Edinburgh and the Royal Mile was quite a shock. I was pleased to get to my friend’s house and be offered lots of tea and a cracking curry. I also enjoyed the feeling of a nice warm bed. Bent spanner. Photo: Andrew Whitelee. Today did not go to plan! 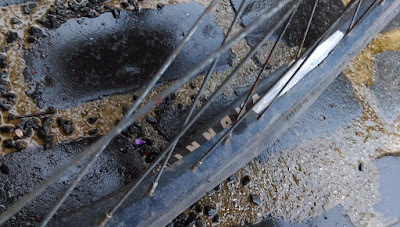 Within 4 miles I’d hit a pothole got a puncture and I later discovered, buckled my back wheel near Musselburgh. 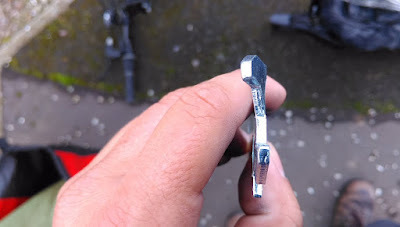 I tried hard to get the tyre repaired but only succeeded in bending my spanner! After sitting in a café and considering my options I managed to find a local bike shop and wheeled my bike there. Three hours later, the guys at Ace Bike Company had me back on the road. Fading light and persistent rain. Photo: Andrew Whitelee. Desperate to make up time I pushed on through the rain to Scottish Ornithological Club HQ at Aberlady where the lovely Jane made me a coffee whilst we talked waders. Still behind on the clock I set off hoping to reach Cockburnspath by dark. However, in the fading light and persistent rain I had to give up near Dunbar, and set up camp with Bass Rock and the Isle of May in view. 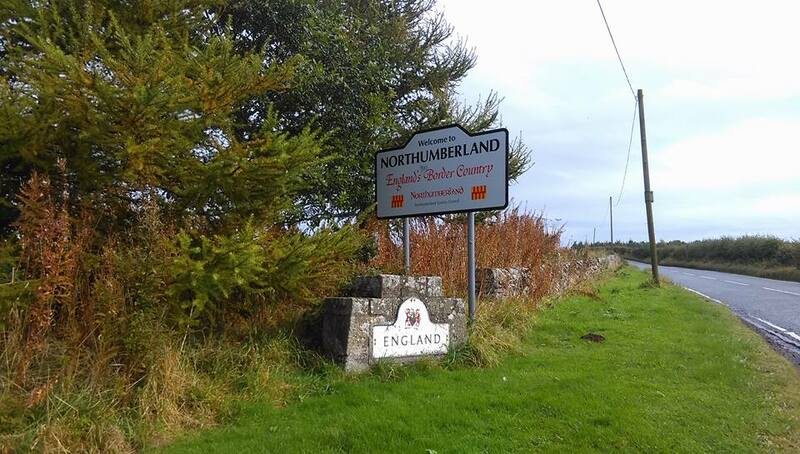 Over the border. Photo: Andrew Whitelee. An early start to try and make up time, but the conditions were tough and the route was very hilly. By lunchtime I had climbed several hills only to drop to sea level and start over again. Somehow the free-wheeled sections never seemed to make up for the effort of the climbs. Now for a little moan. Sustains do a great job creating and maintaining cycle routes but at times Route 76 left a bit to be desired. Getting lost and adding an extra mile or two doesn’t sound a big deal but when you are already tired its quite demoralising. Also its great that the hedgerows are maintained but if the thorns aren’t swept off the cycle path it makes for a treacherous journey. Progress was again slow and I gave up for the day over the border near Berwick-upon-Tweed. Thorn induced slow puncture. Photo: Andrew Whitelle. I woke to find I’d got a flats tyre due to one of the thorns the previous day. My bike pump broke when I tried to use it but the nice man in Wilson Cycles loaned me one to get going. The rest of the day was a race against time again, trying to catch up time and hoping the slow puncture held out. 52 miles later I got to my destination and collapsed into my tent and fell asleep in my clothes. After changing my inner tube and getting the tyre sorted, today was an easier day. 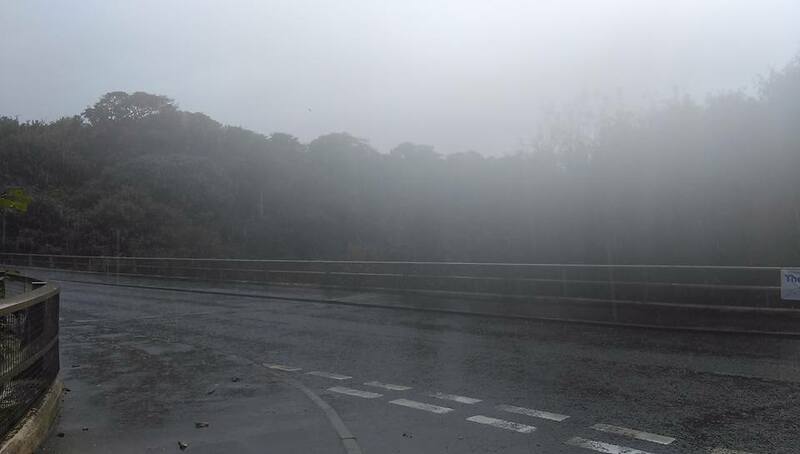 The weather was wet and foggy and it felt like there’d been a “fall” of birds overnight. As I cycled near Druridge Bay there were lots of winter thrushes, Skylarks, Stonechats and Goldcrests in every bush. I even saw a Yellow-browed Warbler in a car park feeding underneath a Transit van! The highlight though was a female type Redstart that flashed across the path in front of me. I realise I've not talked about birds much in these reports but I’m so conscious of finishing the bike ride and not letting people down that I’m probably not stopping as often as I should. There hasn’t been a day go by when I’ve not considered giving up, when I wake up aching in the morning or get lost again, or face another hill with yet another false summit, but there’s one thing that, more than all those put together really makes me struggle. When I look at the Just Giving total and see its not as high as I'd hoped. Don’t get me wrong, I am truly grateful for each and every pound we get but I wish it was more. I’m doing the pain, I really want the charities to gain.